The Kenai Peninsula, near Sterling, is well known for the Swanson River Canoe trail system, enjoyed for years by Alaskans and visitors alike. 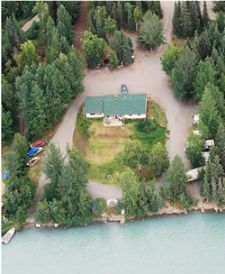 Local rental is available for canoes and other boats (if lakes or the Kenai are more to your liking), and guide services can also be arranged. What to Bring: Warm layers of clothes, rain gear, hat, fishing gear, fishing license, binoculars, sunglasses, sunscreen, and camera/video!